i got this phone a couple of weeks ago and i found it pretty good. tired to install k700s themes but they r not working on it. can anyone plz list here some good websites from where i can download themes and other mobile stuff. The choise is obvious.i have a friend that has x630 and another that has k510i.go for k510i.at x630 the mp3 sound is very very low, i cant say that sony-e has a great sound but compared with x630 is definately better. for camera , again k510 is the winner ,and it also has irda and bluetooth while samsung has only bluetooth. I think that the Sony Ericcson k510 a is a very good phone,especially for the price.The phone is highly customizable and packed with most of the features an individual would desire.The camera quality is good with the 1.3 megapixels and the video recording reaches a maximum of around 20 minutes!The phone has a large,vibrant colour screen that makes everything look good.A disadvantage though is the inability of the phone to hold a memory card,but if it did i guess the phone's price would become exorbitant.The shared memory of 28mb is generous and enables me to a reasonable amount of items.The sound quality of the phone is good and the volume level is very good.In terms of the design,i think that it is reasonably stylish,especially the black which projects the look of sophistication.It was suprising to see how much was packed into such a small phone.The k510a is surely a great phone! 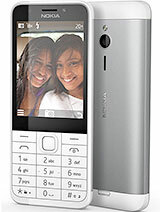 I had k510,this is a good handphone...!! if the picture after U catch photo is poor, U can horizontally the picture. sorry if I had a mistake,cuz I'm can't speak english good. Can someone tell me how many songs this phone can hold ? My opinion is that if u want a basic megapixel camera phone,you can buy it cause it's rather good for the price.has some ok features.But if u want a phone packed with features and can be customized in terms of ringtones and memory space,I would choose the nokia 6230 or betta yet the nokia 6230i. Owned nokia 6230 (with 512mb card)and decided to try this for a replacement.have to say,camera is ok but features lack those of 6230.not really impressed.can apply themes but somehow,mp3 msg song keeps cutting off after a few secs,can anyone help?seriously considering keeping 6230 and selling k510a. Can anyone tell me how to set the ringtone to vibrate?